When it comes to plumbing businesses, the competition can be pretty fierce in most markets. There is an abundance of plumbers all competing for residential and commercial leads. But those contractors that choose to invest in building an online presence typically have the upper hand and have no problem gaining new customers. That’s because many consumers are turning to search engines to find plumbers and contractors. “Just Google It” is a pretty common term these days and contractors are no exception to the rule. Sure, many businesses can rely on word of mouth, but aside from that, they must invest in the web to compete. The days of the Yellow Pages are over…the game has changed. Consumers are tech savvy and have a wealth of information sitting in their pockets with their smart phones. 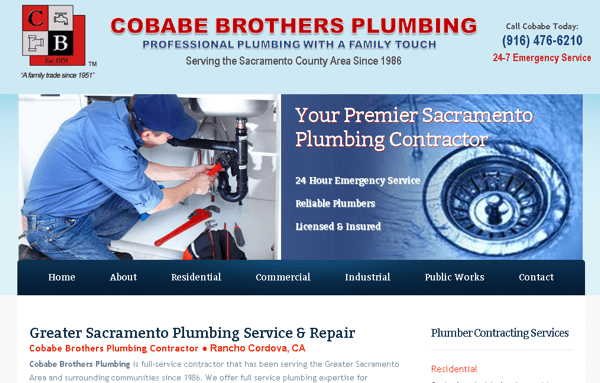 That’s why it’s critical to not only have a professional plumber website, but also have a strong plumbing marketing plan in place to develop a strong online profile. Once you have an SEO-Optimized website up and running, the work does not stop there. There are many marketing tactics needed to promote your company online, including but not limited to, Search Engine Optimization (off-page and on-page), Listing Management, Social Media, Pay Per Click and more. All of these online activities help generate plumber leads and drive new customers to your business!